It’s Trisha starting things off this morning. Doesn’t the weather match the mood today? Gray, dreary, somber. 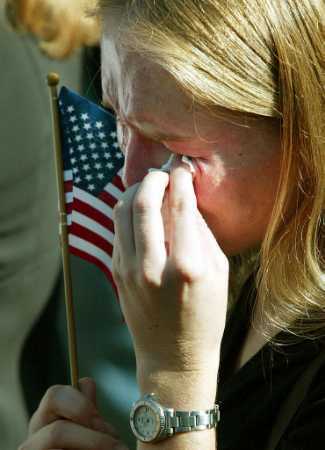 Five years after the attacks, there are big memorial services planned at the World Trade Center site, Pentagon, and Pennsylvania. The President plans to go to all three sites, and address the nation at 8pm tonight. The Governor is leading a dedication service this morning at the 9-11 memorial in West Des Moines. Close to 3,000 flags honor each victim. Anyone is welcome to the ceremony. 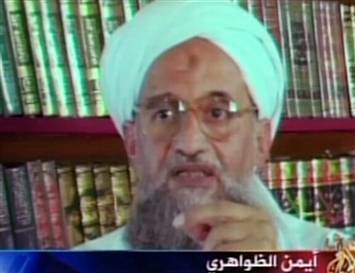 Al Qaeda’s #2 put out a new video. 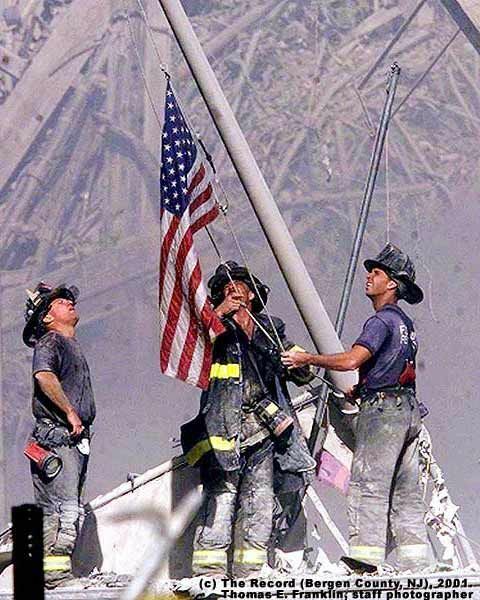 As Pat and I mentioned, we want to know where some of YOU were on the morning of September 11, 2001, when you first realized what was happening. How did you find out? Whose news coverage did you watch? Who did you call to talk about it? Somehow it seems therapeutic for people to relive those moments, and their reactions. I was on my way to work at WCIA-TV in Champaign, Illinois. I was sick that day, and unlike most days, I didn’t watch any TV or listen to radio before getting into my car. The first thing I remember hearing when I flipped on my car radio was “..All air travel in the United States is halted…” or something to that effect. I knew immediately that something huge had happened. As soon as I got to work, I watched the towers collapse. I still hadn’t fully grasped what happened, when I was sent on assignment to interview a military expert at the University of Illinois, who immediately guessed Osama Bin Laden was involved. I remember that night after work being totally drained, and shaken. I remember the fear that something else would happen, or that the next world war was about to start. But yesterday, as I cued up some of the footage I saved from that week 5 years ago, I found the part that I’d RATHER remember about how September 11th changed things. 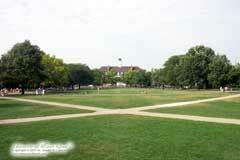 A few days after the attacks, there was a huge “rally for solidarity” on the University of Illinois quad. (I don’t have a picture of the rally, but picture that field in the photo to the right packed with people.) They estimated 7,000 people were there. I covered the event live, and then put together pieces for the evening newscasts. It was one of the most moving events I’ve ever witnessed. The rally ended with a gospel rendition of “Amazing Grace” – not the solemn, sad version, an upbeat arrangement led by gospel singers. The entire field of people was swaying and singing along with arms aroeach otherther. By the end, total strangers were hugging each other and crying. It was uplifing rather than depressing, unifying rather than divisive. An impressive sight, and powerful feeling I will never forget. I really wish the country could have held onto that sense of togetherness. I’m sure Pat and others here will share their recollections too and post it here later this morning. I’m always embarrassed to say I missed the biggest “news day” of my lifetime. The morning of September eleventh I was roused out of a deep sleep by the phone. A friend from college was on the other end of the line asking if I’d been watching. I turned on the TV in time to watch the second plane go into the WTC. I was in Missouri after attending a charity event for a friend in St Louis so I had the day off. I remember the five and a half hour drive home listening to the radio. It was a beautiful daClearlear blue sky, and not one contrail in it. It eerierrie. As the reports about where the President was started coming in, I remember the reports saying he’d left Louisiana but they didn’t know where he was headed. I looked up and there coming from south to north was a single contrail in the sky. It had to be Air Force One. Later, just as I was about to get to Des Moines they started talking about The President being at Offutt AFB in Omaha. Again, one contrail rose up into the blue sky. It was AF One again. This time the plane was going back to Washington DC. I think I harelativelyivly unique 9/11 experience because I listened to the events of the day unfold rather than watching like most people. We all need some good news, right? 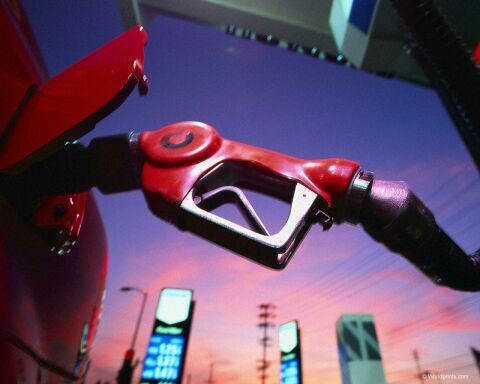 Gas prices in DM are the lowest in the nation again! The newest Lundberg survey found our average prices over the last two weeks the lowest, at 2.32 for regular. Today’s price is even better, at 2.17 for ethanol, 2.23 regular. Phyllis Nelson is being released from the Mitchelville Correctional Facility today. She served 5 years of a 10 year sentence for the involuntary manslaughter of her husband. We’ll be there to watch her release, and see if she has any comments. As always we welcome any feedback and comments – thank you for reading and watching! My co-workers and I just have to know – do you purchase your own clothes or does the network provide it for you and the other ladies? You always look great! On 9/11, I walked in to my office and a co-worker asked me if I’d heard that a plane crashed in to the World Trade Center. At that point, it was reported as a twin-engine/turboprop plane. Right after that, they heard on the radio that another plane had crashed. I got out my weather radio that also picks up the area’s TV stations’ audio and we (like Patrick) listened for the next hour to Katie and Matt describe the awful events of that morning. I didn’t see the images until I got home that night. I just remember flipping the channels, seeing Paula Zahn and thinking what an awful way to spend the first day of your new job. I can’t imagine what the victims’ families were going through.